Painting crown molding is usually straightforward – just paint it the same color as the rest of the trim or woodwork in the room (the baseboards, door casings, and window sills). But if we’re painting kitchen cabinets in a new color, homeowners often ask us whether their crown molding should be painted to match. 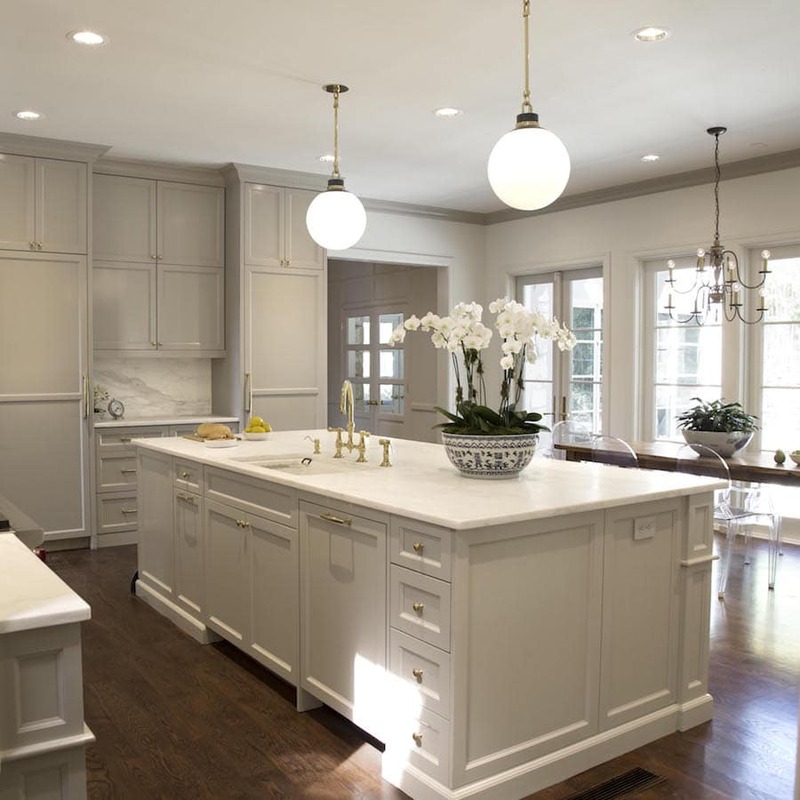 Since crown molding often joins up with the kitchen’s upper cabinets, the color choice will get noticed. We recently painted this entire kitchen as part of an extensive remodel, and I wanted to show it to you as a great example of painting crown molding to match the cabinets in order to define the room nicely. Nowhere else in the home has the crown been painted to match the cabinets like this, and it’s a fantastic example of painting crown molding in an accent color (i.e. the cabinet color) to give the room’s architecture a little extra definition. When the kitchen cabinets are painted in a nice soft green-gray like this color, it’s an especially “friendly” choice. The colored crown molding almost frames the room. Love it!